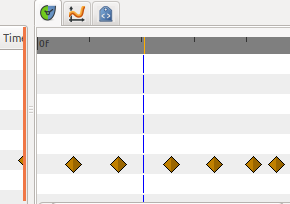 The time cursor show you, in the Timetrack and Graphs panels, at which frame you currently are at. It is represented by a vertical line and moves with your pointer as you drag along the Timebar. This page was last modified on 8 March 2016, at 15:43.